We asked people in the UK aged 18-54 about their interest in watching sports, betting on sports, and playing casino games. Some of the results were expected, but other findings were alarming. It’s worth noting that we screened anyone that did matched betting or arbitrage betting to ensure our dataset was not skewed by those that know how to beat the system. This data was compiled & published in September 2018. As a site that teaches profitable betting strategies, and we’ve taught thousands of people via our free beginner course and on-site lessons, it’s saddening to see what appears to be genuine delusion throughout punters in the country. They’re harsh words, but arguably more than fair. It’s not unusual for people to think they are profitable bettors when in fact they are not; psychologically you remember your wins more than you remember your losses. However, it’s the sheer number of people that think they are profitable — a massively unrealistic quantity — that no doubt spurs bookmakers and casinos, and broadcasters and the media as a byproduct, to shove gambling adverts in the faces of spectators anywhere they turn. The fact that over half of 18-24 that place sports bets think they are profitable is a sure sign, to us, that there’s a serious lack of education in the betting world — probably made worse by aggressive marketing from bookmakers in the industry. It’s hard to judge exactly how much marketing affects our data because those that watch sports are obviously more likely to bet on it than those that don’t watch sports. However, the fact that those who watch football on TV are 33% more likely to gamble on casino games compared to those that don’t watch football on TV suggests that football fans have a subconscious desire to gamble, which must surely be influenced by how often they’re subject to betting and gambling-related adverts. Another telling statistic is that 35.3% of all sports bettors believe they are profitable — this number rises to 41.24% for those that bet regularly — but only 7.8% of these people have ever been restricted or banned by a bookmaker. As a site with years of experience in the industry, we can assure you that almost all profitable bettors (long-term) are banned or restricted in terms of stakes and access to promotions. Large bookmakers like Skybet claim to have only restricted 2-3% of their customer base — nowhere near this 35.3% supposed ‘winner’ percentage. Only just over half of these ‘profitable’ bettors knew what a betting exchange was; a type of site that will give higher odds (and therefore more value) on almost all markets, almost all of the time. One of the most disturbing findings is that 29.55% of all people that play casino games believe they are profitable players. We already know, due to the pre-survey screening, that none of these people know how to beat casinos. Without them knowing how to exploit casinos, we can confidently say that 0% of these people play casino games profitably long-term. A very small number of people may have hit a big win, combined with playing infrequently, which would lead to them thinking they were profitable. But there is no way that ‘very small number’ could be anywhere close to 29.55% of people, which means there are likely millions of uneducated people in the UK that think they can actually beat casinos using some form of strategy or system. You can’t ‘beat’ casinos without exploiting them: even playing the perfect blackjack game loses you around 50p on every £100 staked in Expected Value. Viewers of horse racing were by far the most likely to place bets out of all TV sports audiences, with only 2.6% of horse racing fans saying they never bet. …Although they’re not necessarily betting on the sport in question. Fans of horse racing were most likely to believe they were profitable bettors, whereas fans of Formula 1 were least likely. 35.3% of sports bettors consider themselves to be ‘profitable’. …But only 52.6% of these know what a betting exchange is. 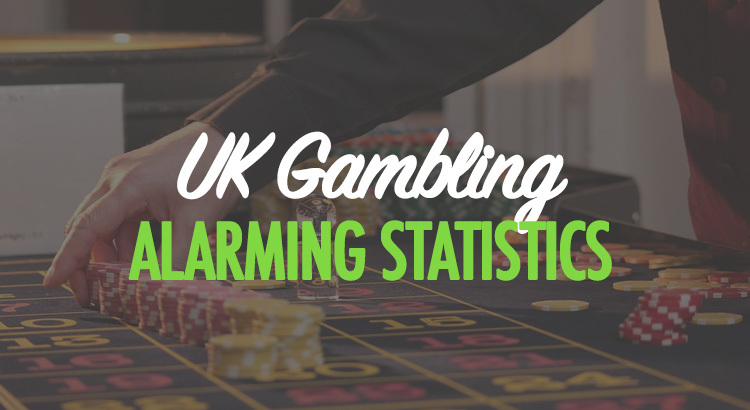 …And only 7.8% have ever been banned or restricted (stake limits or removed promotional access) by a bookmaker before. Those that bet in-play (45.4% of bettors surveyed) were 2.2 times more likely to say they believed they make a profit than those that don’t bet in-play. Men are also around 22% more likely to believe they were profitable sports bettors than women are. Those aged 18-24 were significantly more likely to believe they were profitable sports bettors, with 58.5% of this age bracket saying they turned a profit by betting. This number is 36.4% for those aged 25-34, 27.7% for those aged 35-44 and 29.7% for those aged 45-54. Those aged 18-24 are also betting in bigger quantities than any other age category. 52.3% of bettors in this category are risking more than £10 a month, with this figure being 48.1% for 25-34, 42.5% for 35-44 and 41.5% for 45-54. 12.2% of those in the 18-24 category are risking more than £100 a month on sports bets. This figure is 9.3% for 25.34, 7.8% for 35-44 And 7.9% for 45-54. Those in middle income brackets were 21% more likely to bet on sports than those in low income brackets and 12% more likely than those in high income brackets. Of those that never bet on sports, 81.2% also never play games such as blackjack, roulette, slots or bingo. In comparison, those that bet on sports sometimes were 3.2 times more likely to gamble on casino games, and those that bet regularly on sports were 3.9 times more likely. 29.6% of casino game players considered themselves profitable players. Those that played casino games regularly were also over 2 times more likely to believe they turned a profit versus those that only played sometimes (25.4% vs 50.9%). Men are more likely to believe they are profitable players than women. 31.4% of men that play casino games believe they are profitable, compared to 24.4% of women. Those aged 18-24 are most likely to think they are profitable casino players, with 54.5% in this category judging themselves as profitable. This figure is 30.7% for the 25-34 category, 20.8% for 35-44 and 16.4% for 45-54. Those in low income brackets were 8% more likely to believe they were profitable casino game players than those in higher income brackets. Fans of watching football on TV were 33% more likely to play casino games than those that do not like watching. You are welcome to use any of our data with source link credit to Beating Betting. Full data set can be found publicly at beatingbetting.co.uk/dataset. Matched bettors and arbitrage bettors were screened beforehand and were not included in the survey to eliminate unreliable or skewed data.